An anchor symbolizes steadfast and hope. In short, anchors keep you grounded. I am sure we can all pinpoint anchors in our lives. It can be a person (or multiple people), objects, literature, music, adventures, activates – anything. The major anchors in my life are family, friends, music and student affairs – seriously. Music has been a part of my life since forever. My dad was the biggest influence on me with this and I am grateful for all that he taught me about alternative, punk rock music. Student affairs recently came into my life and has been a life saving anchor for me. I have realized that throughout the years I continue to collect anchors. This past week marked fall break. This is when some institutions give faculty and students a few days off in the middle of October (at least for us). I learned from one of my professors last year that the purpose of a fall break is to assist freshman with their adjustment/transition period. Giving them a long weekend allows them to go home and spend time with family. So, if they are feeling home sick, this is the perfect time to help them feel better. I think it’s a pretty neat idea. Fall break wasn’t a thing at my undergraduate institution; so coming into my masters program I was pleasantly surprised. This year for fall break I actually did not get much of a break. I still worked the two days that there was no class, and we all know that homework never ends, but I did have the chance for a break. 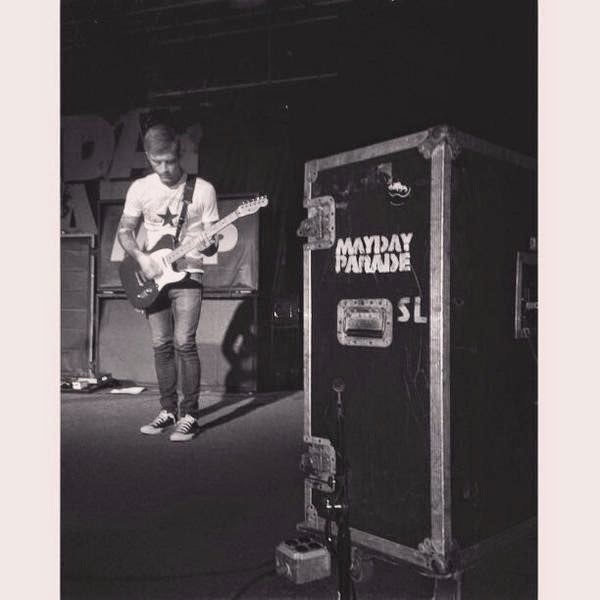 I was able to see my favorite bad (Mayday Parade) play at my favorite venue (Starland Ballroom). I’ve been listening to them since I was in high school. Their music has always served as an anchor for me. Through the good and bad I have always found comfort in their melodies and poetic lyrics. I enjoy their music so much that I went to this concert by myself. It’s short of a long story, but I will say that tickets sold out and I ended up with one. Going alone was actually really nice. I was able to enjoy the music and work my way to the front row without worrying about where my friends were in the crowd. Something completely different for me. Lastly, I had the chance to spend this Sunday with my grandfather. We spent the day watching football, eating pizza, then ice cream, and cheering out our favorite team (NY Giants, obviously). He’s 91 years old and is the most amazing guy I know. Spending time with him reminded me to slow down, stop taking work so seriously and enjoy the time we have with the ones we love. We are only here on borrowed time. So hold onto your anchors. They keep you ground and they remind you why you exist.